Pro-Art is committed to high standards of quality in dental technology. We realized many years ago that this goal could not be achieved without teamwork and continuing education. To that end, Pro-Art has constructed an in-house seminar facility to accommodate our continuing education program, study groups, and presentations for our affiliates. Pro-Art is recognized as a PACE Program Provider by the Academy of General Dentistry. Our seminar facility, which includes a lecture hall as well as a hands-on training area, can accommodate up to 100 dentists. 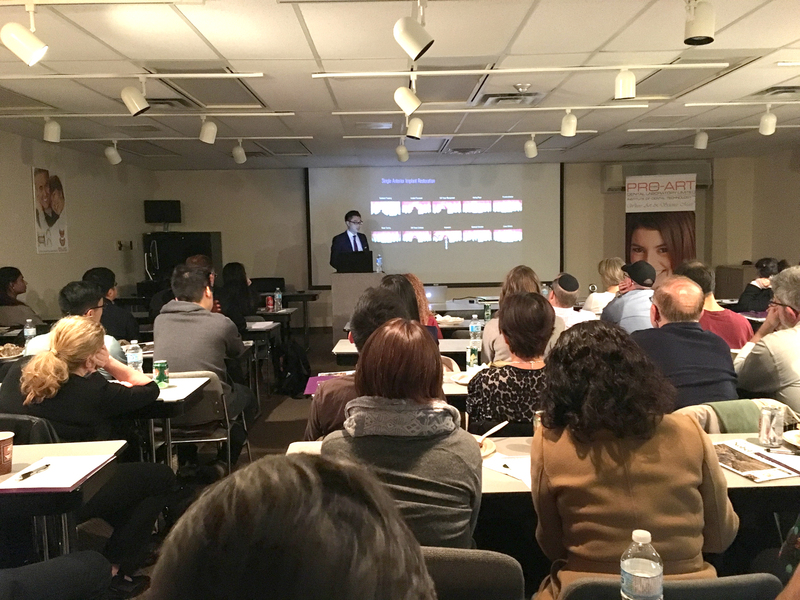 Our courses are accredited by the Royal College of Dental Surgeons of Ontario and the Academy of General Dentistry for continuing education points/hours. Our seminars are presented by leading and respected clinicians within the dental industry. Pro-Art Dental Laboratory is committed to the highest standards of quality in dental technology. We realized 35 years ago that this goal could not be achieved without teamwork and continuing education. It was then that Pro-Art launched its Study Group under the leadership of Dr. James Cutler and other leading specialists. We would like to continue to facilitate the dental professionals and offer them a platform to learn and share the latest innovations, product techniques, new procedures, discuss latest developments, etc. in order to enhance their practice, raise the standard of patient care and achieve the highest level of patient satisfaction in their community. We are pleased to announce the launch of 2018-2019 sessions of the Pro-Art Study Group for Advanced Dental Studies (PSGADS) under the leadership and guidance of Dr. Marshall Freilich. The Pro-Art Study club plans to organize interactive sessions covering all areas of dental technology, including implant dentistry, cosmetic, occlusal teaching, digital dentistry, orthodontic treatment options, digital photography, support staff training, etc.